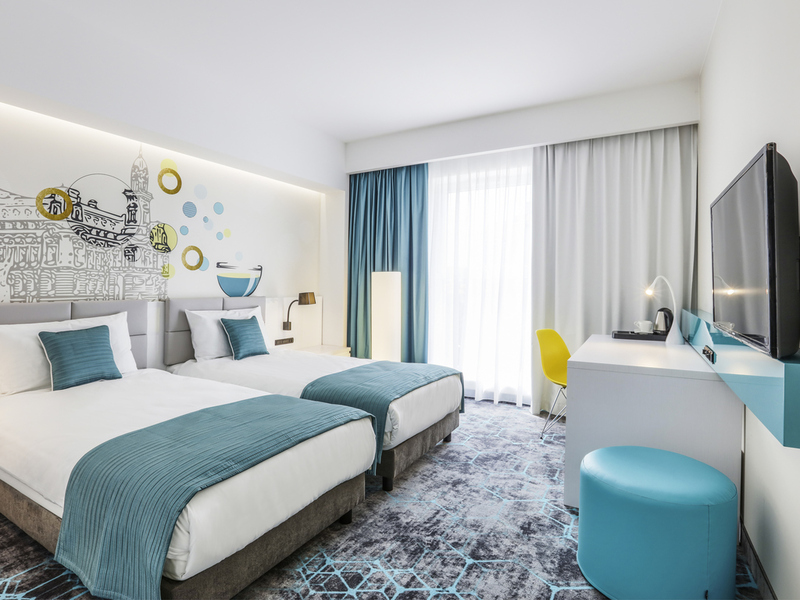 The ibis Styles Nowy Sacz is a smart hotel combining unique design with user-friendly technology. The hotel's elegant interior recalls the alchemist Sendivogius and the history of Nowy Sacz. We offer a professional service, refined cuisine and comfortable , air-conditioned rooms. The hotel is an ideal place to hold special events, team-buildings meetings, conferences, banquets and training sessions. The hotel is ideally suited for business travelers as well as families with children and disabled guests. The modern and stylish three-star ibis Styles Nowy Sacz features 57 rooms (3 of which are apartments), a conference center, restaurant, WIFI, satellite TV and a car park. The hotel's interior draws on the history of Nowy Sacz and the alchemist Sedziwoj. The Atelier Sedziwoja restaurant is an elegant venue with professional staff serving exquisite cuisine prepared by our chef. We offer Polish, regional and Mediterranean cuisine with a special mini-menu for our youngest guests. The Lobby Bar is the perfect place to relax and enjoy delicious coffee and cake. We offer you a feel-good atmosphere plus snacks and spirits from all around the world. The OXYGEN club boasts great music and fun till dawn. Occasionally, during holidays and long weekends, we organize performances by artists, cabaret performances, concerts, dances, etc. first time to stay here and it was very good. room was nice and big, large tv and comfortable bed. choose this hotel due to location and stayed for four nights. In front of hotel have free parking, was good for me. Also breakfast was nice and many choices.